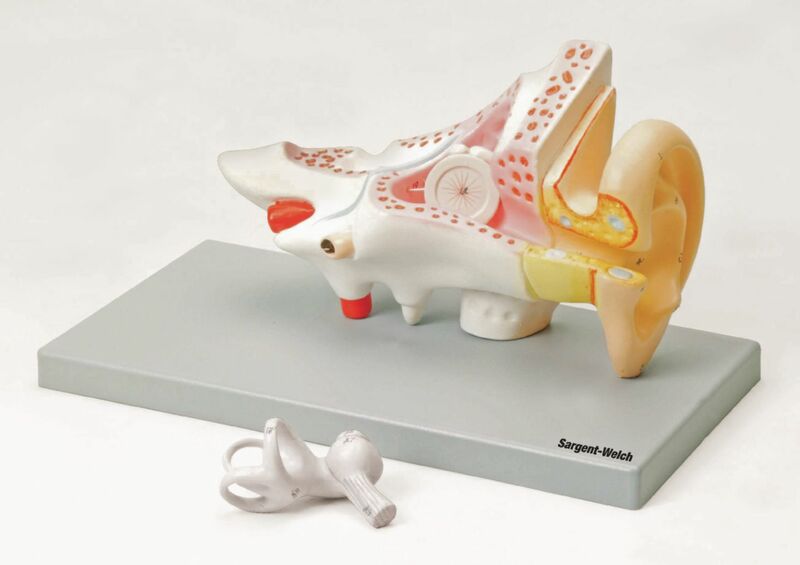 Enlarged to twice life size, this model is dissectible into three parts for hands-on study. Both the ossicles and labyrinth can be removed. Study the external, middle, and internal ear with the structures shown on this model. Numbered and mounted on a base, it includes a key card.